Why Choose Hybrid Cloud over The Public & Private Clouds? For several years now, enterprises have been concentrating on cloud computing solutions but there is a small group that is extremely security conscious and therefore hesitates to move their workloads and precious data into the cloud. Hybrid cloud model comes to the rescue of such a class of organizations that offers a combination of private and public cloud networks and thereby is a more organized, customized, and secure platform. In a hybrid network, the private and public cloud infrastructures, which otherwise operate as independent entities, communicating over an encrypted connection. The hybrid arrangement allows organizations to store their highly precious and privileged data on a private cloud while providing the flexibility to leverage computational resources from the public cloud. The most obvious benefit of a hybrid cloud environment is that enterprises can have on premise, private infrastructure resulting in reduced access time and latency when compared to the public cloud networks. The feature of leveraging to the public cloud for any failover circumstance provides an additional benefit of paying for the extra compute only when the resources are utilized. Hybrid computing creates a balance between internal assets and external services. On one hand, it enables technology to optimize its infrastructure to meet business needs while maintaining security and reliability of vital data and applications. On the hand, it allows access to the public cloud’s storage and network capacity for routine operations and additional space on demand. Reliability–A network downtime is really frustrating and unaffordable. So, you must enquire about the service provider’s redundancy capacity and ensure that there are no points of failure. Security – Before finalizing a hybrid cloud computing service, enquire about the provider’s flexibility to be compliant to the security and privacy regulations that are specific to your industry. SLAs – Check how your hybrid cloud partner’s service level agreements are defined. Latency – Enquire how hybrid cloud service providers run applications and whether data transfers across platforms are involved. Hybrid cloud is a likely answer to enterprises looking for more flexibility in balancing the priorities of business and cloud infrastructure. However, choosing the right hybrid cloud computing service provider is important. In Cleveland, Net Activity, Inc. is an established cloud solution provider offering customizable plans for all business sizes. We are a team of professionals serving a large base of clientele since 2002. For more details about our services, please visit http://www.netactivity.us/services/cloud-computing-services or feel free to contact Harry Bhatia at 888-545-5346. This entry was posted in Cloud computing, IT Services and tagged Cloud computing, Hybrid Cloud Computing, private cloud computing, private cloud server, Public Cloud Computing Solutions on October 21, 2017 by voipnetact. Cloud Computing for Healthcare Industry – How Hospitals Can Use the Cloud? The Healthcare industry moves at a slow pace when it comes to adopting technological changes and most of the organizations prefer to have paper records, film based images, duplicate tests, handwritten notes, and relies on outdated technology for communications. However, as other industries have flourished and improvised their culture by adapting to the cloud platform, the healthcare industry also has a whole lot to explore and benefit from the cloud. Cloud computing uses internet-based servers to store, manage, and process data while enabling on-demand access to a shared pool of networks. Healthcare industry is also experiencing a drastic shift towards a care model that is information-centered and value based. To support this shift, cloud computing extends its support and has become prevalent over the past decade. There are a variety of options available for healthcare providers to choose from. In case the healthcare provider requires custom software, mobile application, or data analysis program, SaaS can help by providing on-demand resources from cloud-based servers located around the world. PaaS enables healthcare providers to code and deploy applications efficiently and quickly. PaaS is a category that allows customers to develop and manage applications without needing to maintain a typical infrastructure for creating and launching an app. When healthcare providers prefer a highly automated and standardized platform with ample storage and networking capabilities that is owned and hosted by a third-party service provider and can be made available to general users on-demand, IaaS is the solution for them. How does cloud computing benefit the healthcare organizations? The benefits of cloud services can be categorized in clinical and non-clinical. The clinical advantages include managing EHRs of patients, ease of transferring information, enhanced clinical research and long term statistical analysis. However, the clinical applications contribute only 52.4% of the cloud usage by healthcare providers. 73.4% of the cloud applications aid in the non-clinical functions like the administrative tasks. Healthcare professionals prefer using the cloud services more for the administrative tasks like payroll management and other IT related functions as it eases them from the hassle and allows them to concentrate in what they are best at. Cloud computing services for the healthcare industry are designed to simplify calculations, lessen IT infrastructure costs, smoothen modern day latest technology adaption, and enable a high-tech healthcare environment that is lucrative for patients and convenient for doctors or physicians. We offer reliable cloud computing services for the healthcare industry and have assisted many healthcare organizations achieve a hassle-free IT collaboration. Please visit http://www.netactivity.us/who-we-help/health-care to understand our service offerings better or get in touch with Harry Bhatia at 888-545-5346. This entry was posted in VoIP Services and tagged cloud, Cloud computing, Cloud Services on September 9, 2017 by voipnetact. Why Cloud Computing is The Right Choice for Your Hospitality Business? Hospitality industry undergoes rapid turbulence as it needs to adapt itself to the constantly evolving lifestyle trends. Customers look for more convenience and prefer those organizations who pamper their needs the most. Economy is tough on the hospitality industry and with a huge competition in the market; it has become more difficult to survive. Cloud computing offers a cost-effective solution to hospitality businesses while minimizing risk and increasing scalability. With cloud computing, hospitality industries experience a higher return on their investments and allow them to experiment more on newer technological aspects that focus on customer retention and appreciation. Cloud computing services make applications run faster and considerably less expensive for a low monthly subscription or an annual fee. It completely eliminates the need of investing heavily on expensive hardware and thereby reducing the financial risks associated with maintaining the infrastructure. Moreover, the cloud keeps your data secure by offering added protection from hackers which reduces the risks of a security breach. There are automatic updates at virtually no cost which means added convenience for users. Specifically, for the hospitality industry, the cloud provides a platform that eases human resource management, inventory tracking, ordering, processing orders, and providing point-of-sale facilities.Additionally, the cloud allows faster reservations, promotions, loyalty rewards, and customer feedback. It is a package that serves the complete processes of the hospitality industry and ensures reliability while providing business owners the time to look into core business operations and plan for expansion or diversification. Cloud can accommodate unplanned expansions too and is simple to use.Regardless of all these features, cloud services ensure that the staff and consumers have the relevant information on their fingertips which builds trust in them and hence prospers business. Hospitality industries are progressing with the advent of cloud computing solutions for their businesses and as a result many cloud computing service providers are flooding in with appealing plans. However, it is important to make a rational choice and hire the services of a reliable cloud computing solutions provider. Net Activity Inc. has been in the industry for more than 15 years and has technical expertise that has delivered proven benefits to many industries in Ohio and across the United States. To know more about our service offerings, please visit http://www.netactivity.us/who-we-help/hospitality or contact us at 888-545-5346. This entry was posted in Cloud computing, cloud storage services and tagged Cloud computing, Cloud Services, hospitality industry services, hospitality it solutions on July 14, 2017 by voipnetact. IT administration is constantly under pressure and intensifies with the advancement of technology. Cloud Computing is probably the best thing to happen in the IT sector and has penetrated deep into every business as well as households. This has changed the complete scenario of how operations and transactions take place using the information technology. Cloud solutions ease the IT administration and saves the admin’s time and efforts in keeping the systems up and running. Managing a wide range of IT tools like those for management, security, and monitoring is very convenient as the cloud lightens the hardware and software load and makes it easier to manage. Cloud provides a more flexible option to store your data with the ease of use. Now, there is no need of constant updates at user end whenever a new version is launched as it is done on the vendor’s site on the cloud. 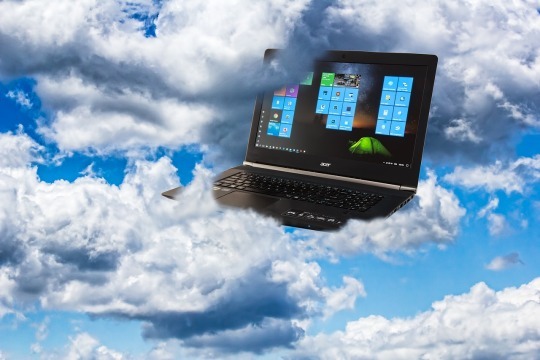 With transition to the cloud, the admin as well as general users having access to the cloud can use the tools from almost any device and location. Managing your IT systems and other office operations can simply be done from your desk, a tablet, at home, or a laptop on the beach. Moreover, the IT infrastructure tools also work perfectly in synchronization with remote machines you may be using in office or at home. Cloud fosters a relaxing work style and allows some overtime to be done from home or at your convenience. The stressful IT employees and business owners can now work in more relaxed and flexible work environments and worry less about any losses as cloud stores securely and is a very affordable platform even for start-ups. At Net Activity Inc., we focus on collaborating your IT infrastructure with the cloud environment so that you experience extremely functional IT solutions to run your business smoothly. We are a team of professionals who have immense knowledge and years of experience in establishing IT systems on the flexible cloud platforms leveraging lot more options that scale up your business operations exponentially. Please visit http://www.netactivity.us/services/cloud-computing-services or contact Harry Bhatia at 888-545-5346 to discuss further. This entry was posted in Cloud computing, cloud storage services and tagged Cloud computing, cloud computing companies, cloud computing providers, cloud infrastructure, Cloud Services on June 17, 2017 by voipnetact. There are a wide variety of choices when it comes to deciding on cloud storage for your business which leads to confusing the business owners. Every business has a different set of requirements and thus considering both the technical as well as non-technical aspects while making the selection is essential. The main reason for shift to cloud storage solutions is decreasing operating costs while securing company data. Cloud storage providers offer solutions at very competitive prices. However, you need to be analytical about the overall value the providers have to offer you at the quoted price. Factors that influence the price of cloud storage is storage space in the cloud, the sites/ other applications, and number of servers in the cloud. Here, you need to understand a fact that a low priced cloud service provider may not necessarily provide you more value for your money. You must consider the complete data lifecycle. The cloud has struggled a lot to prove its security as businessmen still do not completely trust this third party storage service. Due to the past stories of big companies being prey to data breaches, businessmen are not enthusiastic about relying on any third party to maintain their data. So, cloud service providers are working on innovating new, improved security measures including firewalls, data encryption, routine security audits, and anti-virus software. Once you are sure about the vendors’ security undertakings, you can figure out which plan suits your specific requirements. Storing data on the cloud is very much like storing it on a physical location. You need to understand from the cloud service provider where your data will be located on the cloud. Suppose your data is located in another country, it may be affected by that country’s laws and the data can be accessed and controlled as per those laws. Also, another important factor to be considered is whether the data storage location is prone to natural disasters like hurricanes, earthquakes, or tornadoes. Cloud solutions offered by different cloud service providers consist of a variety of features like content management, in-cloud snapshots, in-cloud disaster recovery, file level access, etc. You must be known about what features your cloud solution provider has to offer you. A breakdown can happen anytime or at any hour. While choosing a vendor, you need to question about their availability, who to contact in a situation of crisis, or how much time it would require to resolve an issue. Apart from the above listed considerations, analyzing your business and a discussion with technology experts would give you some other major points to be thought upon while choosing the services of a cloud service vendor. If you wish to immediately contact a reliable cloud computing solution provider, Net Activity, Inc. can be your partner. Please visit http://www.netactivity.us/services/cloud-computing-services to understand what we offer or contact Harry Bhatia at 888-545-5346. This entry was posted in cloud storage services and tagged Cloud computing, cloud server, cloud service, Cloud Services, cloud storage on June 3, 2017 by voipnetact. Are Big Data and Cloud Computing Related? How? Big data and cloud computing are the most hyped phenomenon driving the IT stream of businesses all around the world. Experts say that the emergence of big data was a result of the rise of cloud computing and cloud data stores. Unexceptionally, both these terminologies hold high degrees of similarity in the IT industry. They are inter-dependent in the manner that cloud resources are required to support big data projects and storage while big data is a huge business case for moving the cloud. Big Data is more about extracting VALUE out of Variety, Velocity and Volume while Cloud has its focus on scalable, elastic, on-demand, and pay-per-use self-service models. Big Data needs a large on-demand compute power and distributed storage and Cloud seamlessly provides elastic on-demand computer required for the same. The workload nature of the Big Data computing infrastructure makes it a perfect case for the cloud. SIMPLICITY: To mention it simply, simplification is the key component of Cloud and Big Data, which is the prime reason for their mass adoption. The simplification provided by the combination of Big Data and Cloud Computing can increase the adoption of a seemingly complex problem of large scale distributed processing. COST-EFFICIENCY: Both Cloud and Big Data deliver value to companies by lowering the cost of ownership. Their combination has been driving the cost down for enterprise and bringing value to enterprises. SECURITY: Both the platforms offer data security and protect privacy concerns. System integrators have been building solutions within the enterprise to build Elastic Scalable Private Cloud Solution that brings in the value which enterprises can leverage to bring a Scalable Distributed Processing in action within the enterprise. This entry was posted in IT Services and tagged best cloud service, cloud based solutions, Cloud computing, cloud computing for business, cloud computing providers, Cloud computing Services, cloud computing solutions, cloud it solutions, cloud providers, cloud service providers, Cloud Services, cloud solutions, cloud solutions provider, services of cloud computing on February 27, 2017 by voipnetact. Cloud computing is all about centralization i.e. the ability to push servers and workloads that run on expensive on-premise facilities to more affordable systems on clouds. This in turn allows businesses to share resources with other tenants to increase the overall efficiency by reducing costs. Centralization facilitates a single location for data that may have once existed in many enterprise silos. Moreover, it allows users to manage processes and systems centrally with a single set of tools. Despite all the positives of centralization, the cloud is likely to shift to a distributed approach (decentralization) over the next decade. Centralization can be termed as the Phase 1 of the Cloud Computing era while decentralization is the Phase 2. It focuses on moving the data processing back to the consumers of those processes and data. So, the Phase 2 has recreated the notion of client/server computing, with the cloud being the server and workloads excluding their applications or data moving back to the clients. This shift is not necessarily a complete change, as the workload will move closer to those who use them, while remaining centrally managed and controlled. In spite of being executed across a widely distributed architecture, they will remain logically centralized whether or not their processing and bits are physically distributed. The cloud platform automates the distribution of workloads on private cloud instances, which are paired closely with the centralized public clouds. While it may seem like the workloads are residing in the public cloud, they are actually deployed in a hybrid-like distributed architecture. Cloud computing technology enforces flexibility to such a surprising extent. Ironically, once we move to a centralized cloud-based architecture, all possibilities are open including putting the workloads back on-premises, minus the silos. The Net Activity, Inc. team can help you with your migration to the cloud. We are uniquely positioned as leaders in the cloud infrastructure services network and provide cloud computing solutions which let you have a competitive edge over other businesses. Please visit http://www.netactivity.us/contact.html for more details. You can also call Harry Bhatia at 2165035150 X 206 to discuss further. This entry was posted in Cloud computing and tagged Cloud computing, Cloud Computing Services Cleveland, Cloud Computing Storage Providers, Cloud Services in Cleveland, Cloud Services in Ohio, Cloud Services Providers Cleveland on January 6, 2017 by voipnetact.